What do sushi, potato salad and Italian bread dip all have in common? Foods you wish you had packed for lunch today – check. Party appetizers that never fail to please a crowd – check. Proof that delicious culinary genius emerges from places all over the world – check. Dishes chock-full of high-carb white starchy foods that, when eaten alone, normally make you feel more hungry, unbalance your blood sugar, spike your insulin levels, raise your triglycerides and make you prone to gaining weight. However, when combined this way, they don’t seem to have those same effects…Check and check. Why? Because of an age-old folk remedy that has been used for over a millennia around the world. Today, it can be found at any common grocery store next to the vegetable oil for just a handful of change. It’s vinegar. Yep! A growing number of scientific studies are showing that vinegar is much more than just a common salad seasoning and smelly stain remover; when consumed with meals, it turns out that vinegar improves appetite control and helps to prevent overeating while reducing spikes in blood sugar, insulin, cholesterol and triglycerides, working particularly well for those who are already insulin resistant and pre-diabetic. When you eat refined carbs, they immediately break down into large quantities of simple sugar in your blood stream and your body responds by producing a hormone called insulin. Insulin instructs your cells to pull this sugar inside their walls, to bring the level of sugar in your blood back down to healthy levels. The problem is that abrupt spikes in insulin levels (which happens in response to high-sugar foods, like simple carbs and refined foods) also creates false hunger signals in your brain and encourages the body to store the excess sugar as fat, rather than burn it for energy. When this eating pattern occurs on a regular basis, your cells start to ignore insulin’s instructions, leading to insulin resistance and a cascade of problems with your metabolism, your ability to burn fat, your cholesterol levels, your cardiovascular system and your general health. You can’t burn all of the sugar that you eat, and so your body starts to store it in expanding fat cells that not only increase your weight, but also increase your risks for diabetes and heart disease. What happens when you add vinegar to your high-carb meal? A 2004 study featured in Diabetes Care showed that as little as two teaspoons of vinegar eaten with a high-carb meal – in this case, a white bagel – was able to significantly reduce the resulting spike in blood sugar. And the vinegar didn’t just lower blood sugar and insulin response; it also increased satiety, the feeling of fullness experienced after eating. Study participants ate three slices of plain white bread, and afterwards, reported that they felt slightly satisfied (i.e. they could have eaten more if offered, but felt comfortable nevertheless). However, in as little as two hours, they not only reported feeling hungry again, but felt even hungrier than they did before eating the bread (thanks to the insulin spike that the refined white bread caused in their bodies). And yet, people who ate the same amount of bread along with two tablespoons of vinegar reported feeling twice as full afterwards, and continued feeling satisfied two hours later. Eating the bread with vinegar produced a remarkable increase in prolonged satiety and appetite control. Another study looked at the dietary effects of regularly consuming vinegar on a daily basis for several months. Researchers at Arizona State University divided pre-diabetics into two groups. One group was given two tablespoons of apple cider vinegar to consume before lunch and before dinner for twelve weeks. The second group was given a vinegar pill (which contained only one third of a teaspoon of vinegar) to consume before lunch and dinner. Within only one week, the fasting blood sugar of the apple cider vinegar drinkers dropped by 16 points. These promising results led a second study to be conducted on full-blown diabetics already on medication. One group of diabetics took a vinegar pill (which contained one sixteenth of a teaspoon of vinegar) before lunch and dinner. A second group ate two dill pickles before lunch and before dinner. A third group consumed two tablespoons of apple cider vinegar before lunch and before dinner. The vinegar pill and dill pickles had no effect on blood sugar levels. However, the group consuming two tablespoons of vinegar twice a day experienced a significant reduction in blood sugar levels, taking the effects of their medications the extra mile and producing even more powerful benefits. Other promising studies have linked vinegar consumption with lower blood pressure, lower cholesterol, lower triglycerides, reduced risks of heart disease, antimicrobial effects and other health benefits. 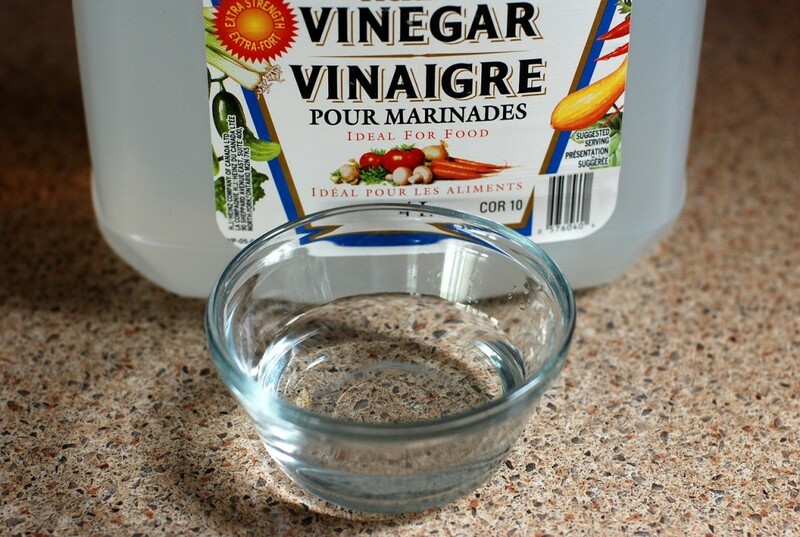 If you are diabetic and on medication, speak to your doctor about adding vinegar to your daily routine. However, when it comes to appetite control, weight loss, and blood sugar, insulin and cholesterol levels, there’s little doubt that this sour seasoning has several sweet health benefits that you shouldn’t miss out on. Incorporating vinegar and lemon juice into fresh home-made salad dressings (like these 5 Fresh Vinaigrette Recipes) and appetizers before meals not only majorly ups their flavor factor, but also improves the many health and weight loss advantages that they can bring you. The print on my slimquick bottle is so small that I cannot read the “directions”. Therefore, I need directions so that I know how to take slimquick. Hi, Please reach our to us on Facebook and let us know which product you’re taking and we’d be happy to help.